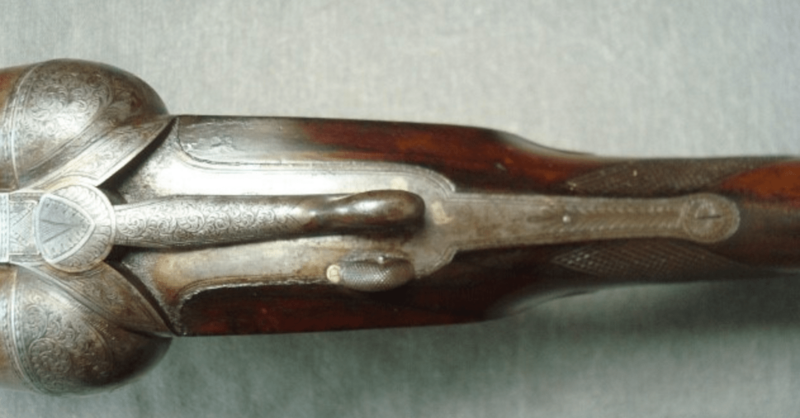 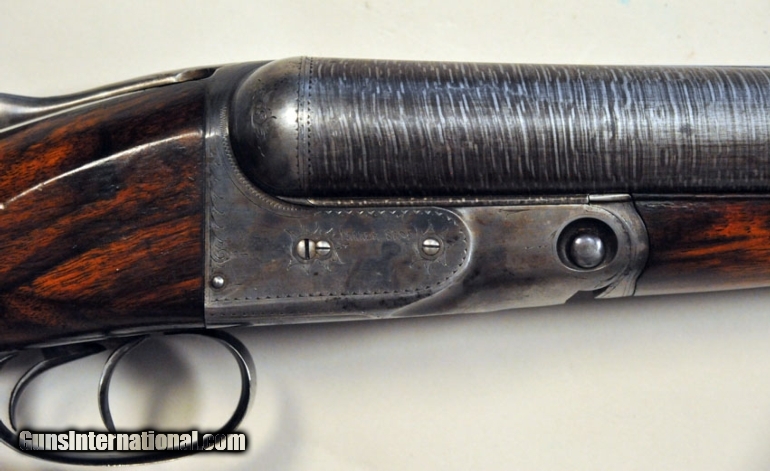 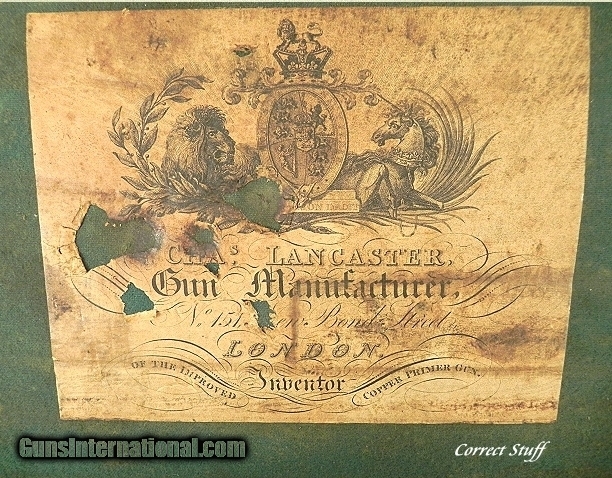 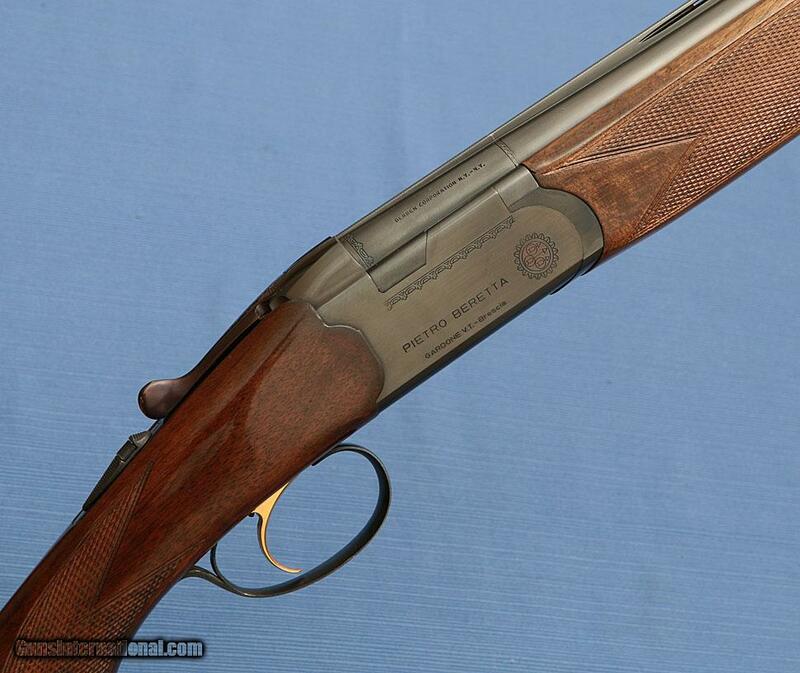 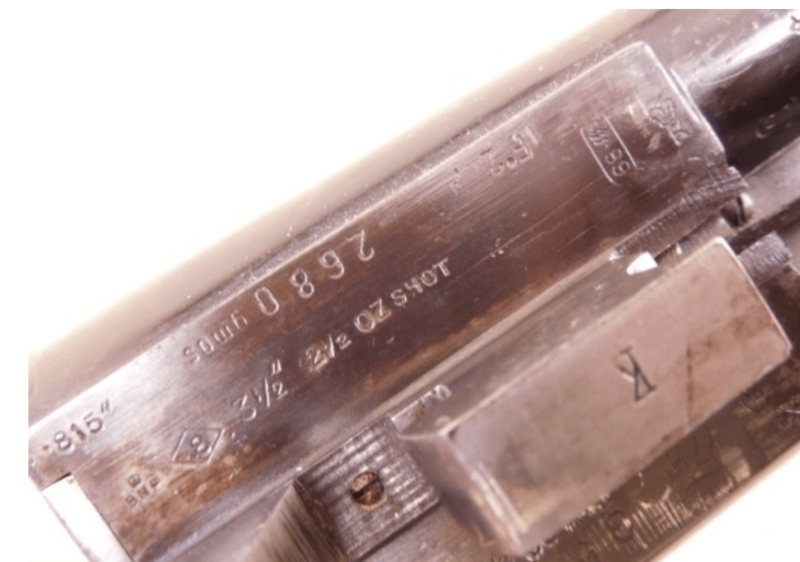 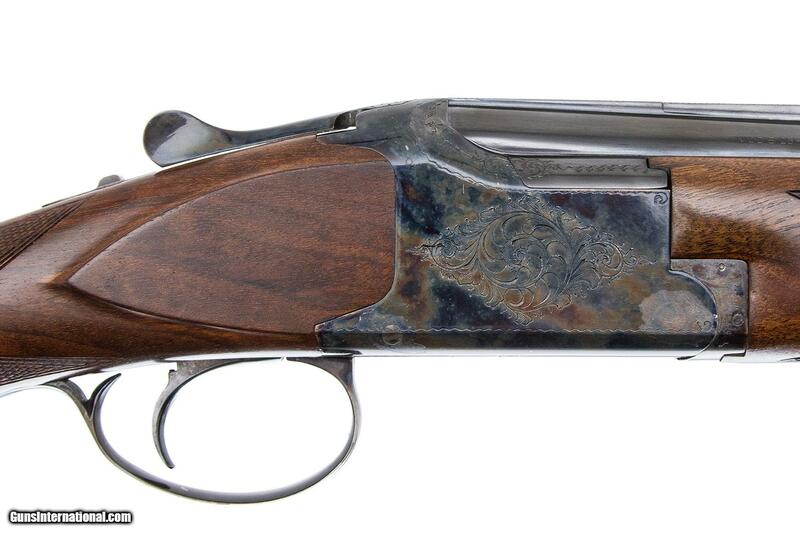 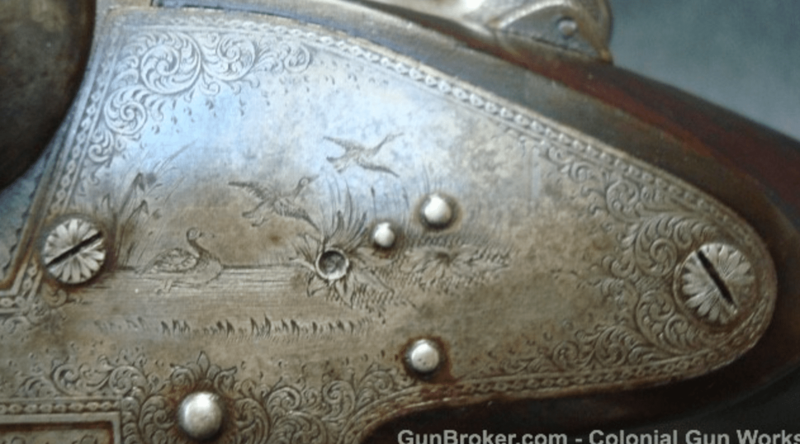 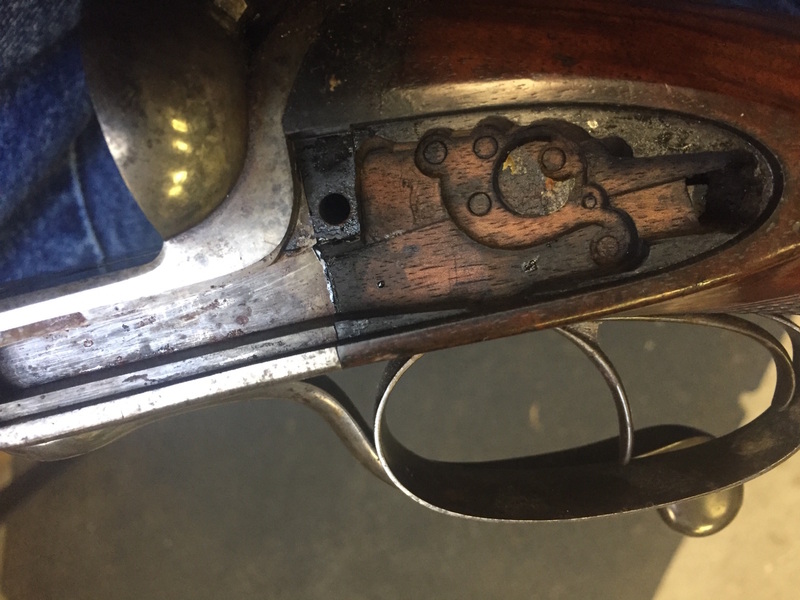 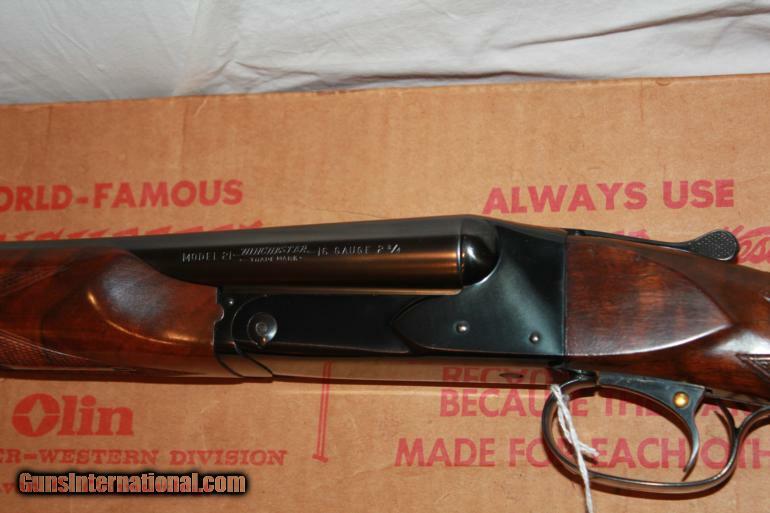 An big 8 gauge from a mysterious American maker..
Here’s a tough shotgun to find. 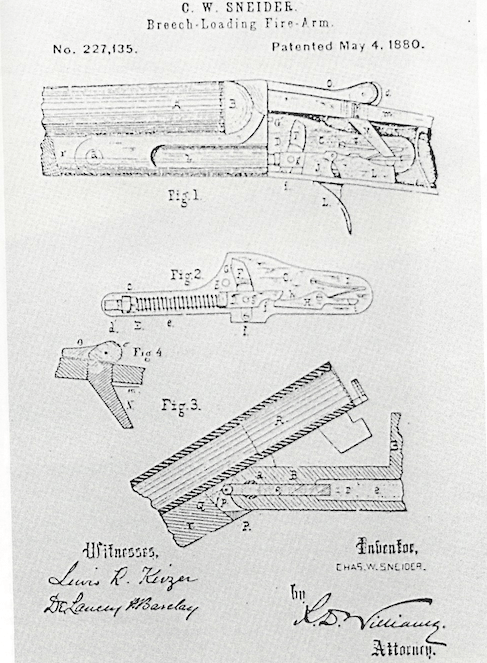 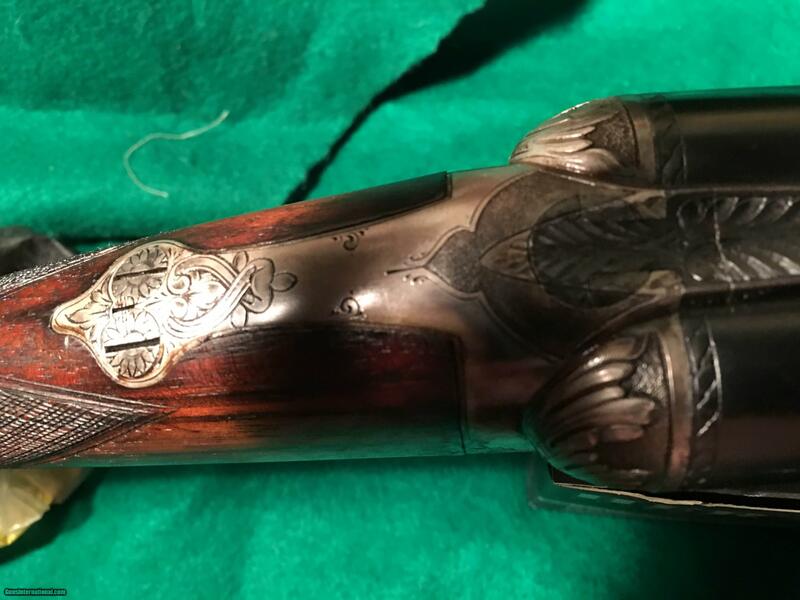 It’s an 8 gauge waterfowler by an American “maker” named Patrick Mullin, and it’s on a Henry-Jones Patent action. 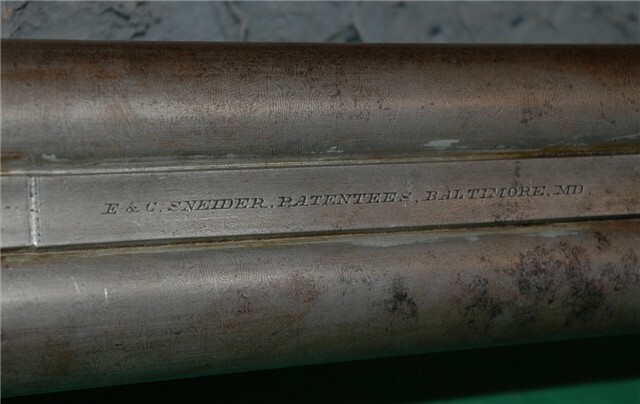 It was probably built in 1870s. 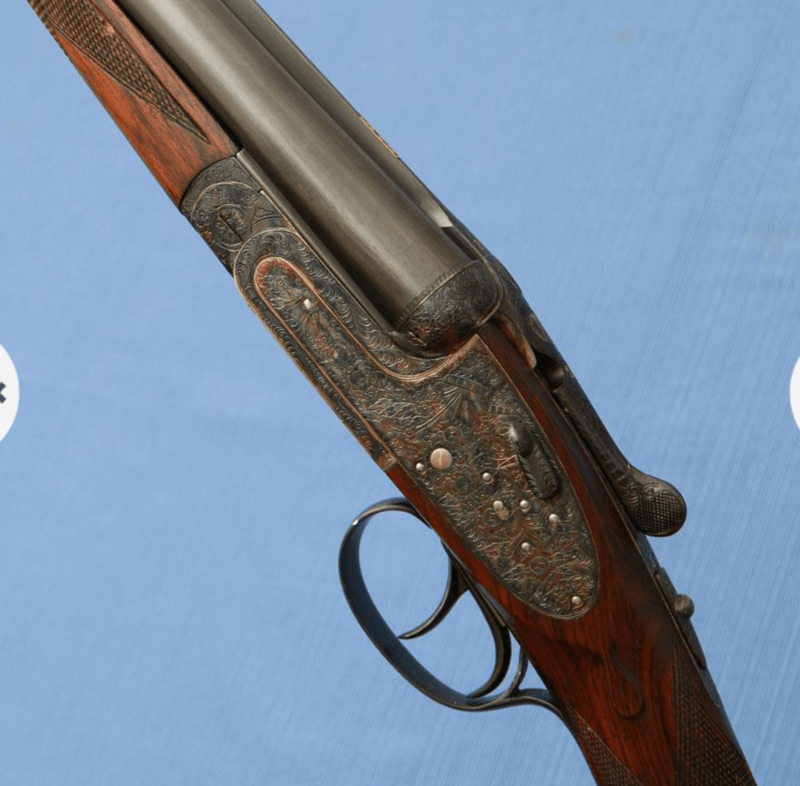 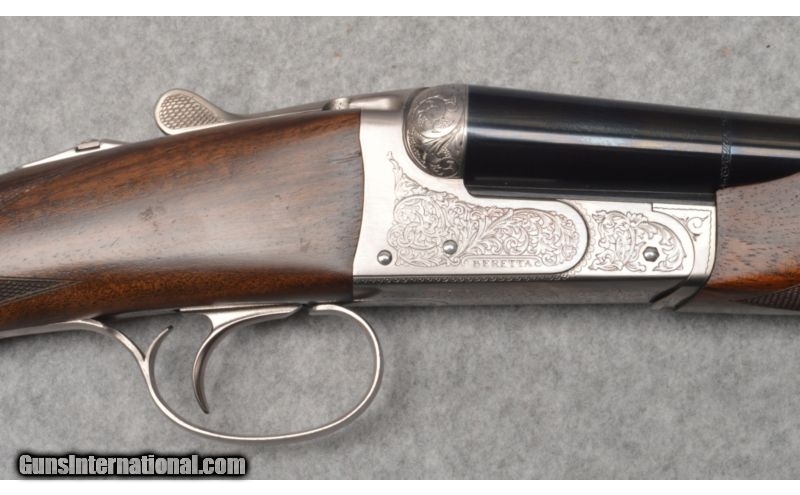 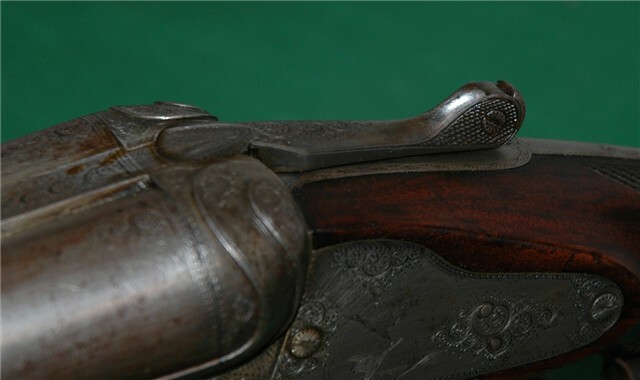 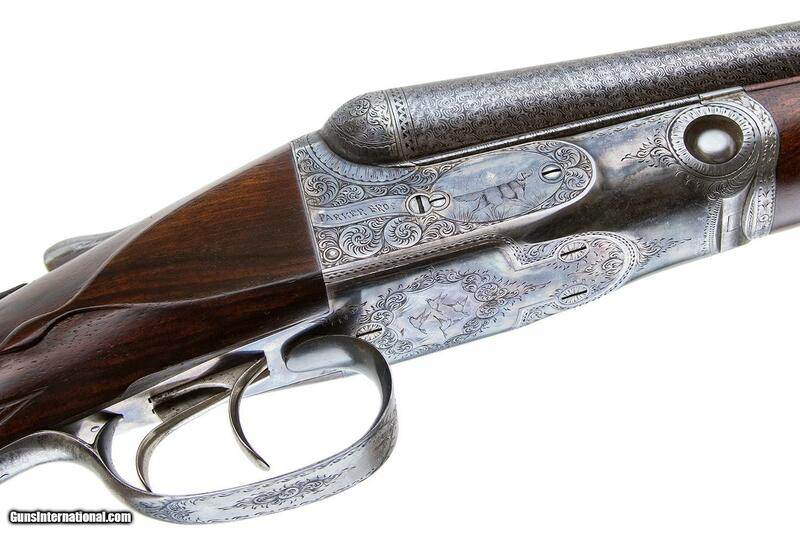 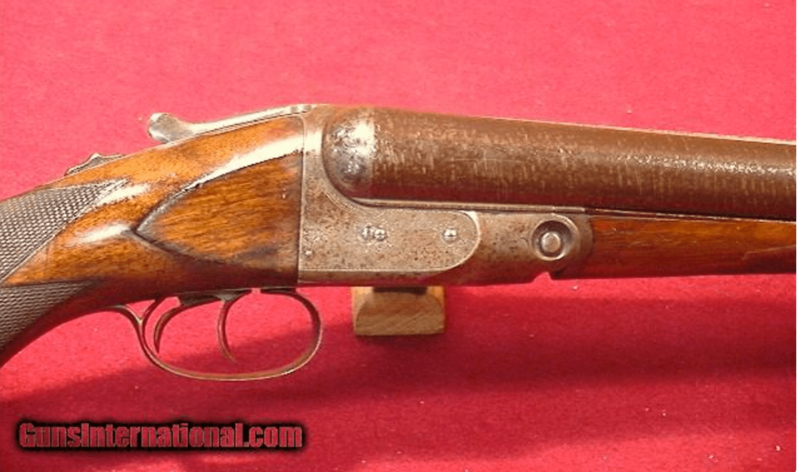 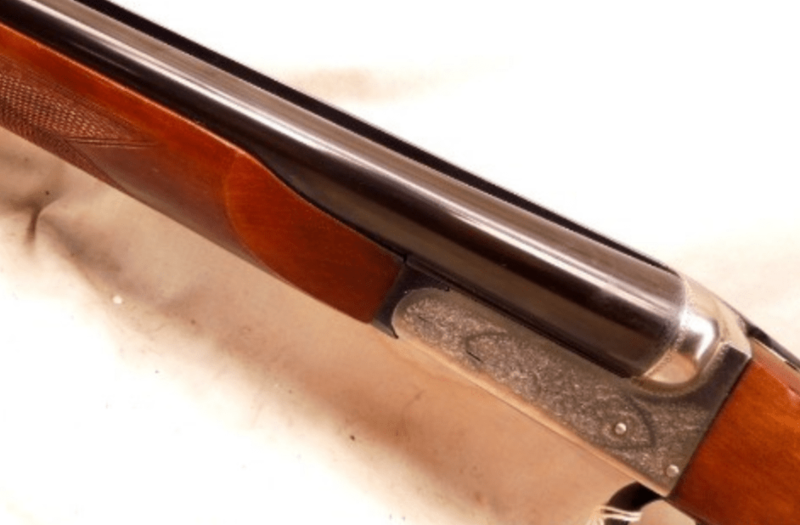 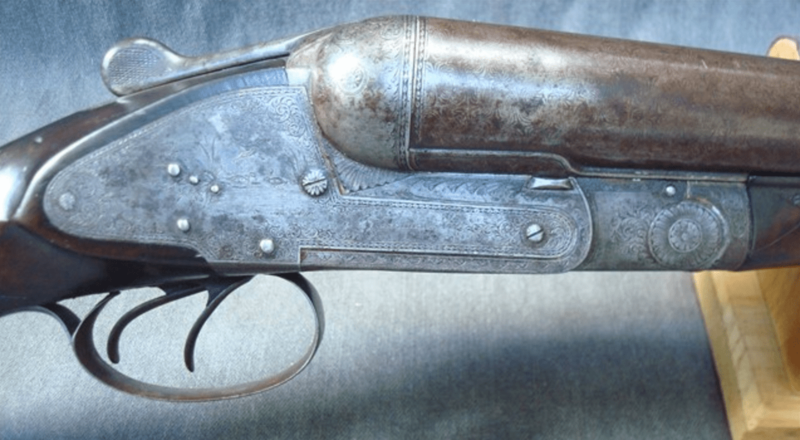 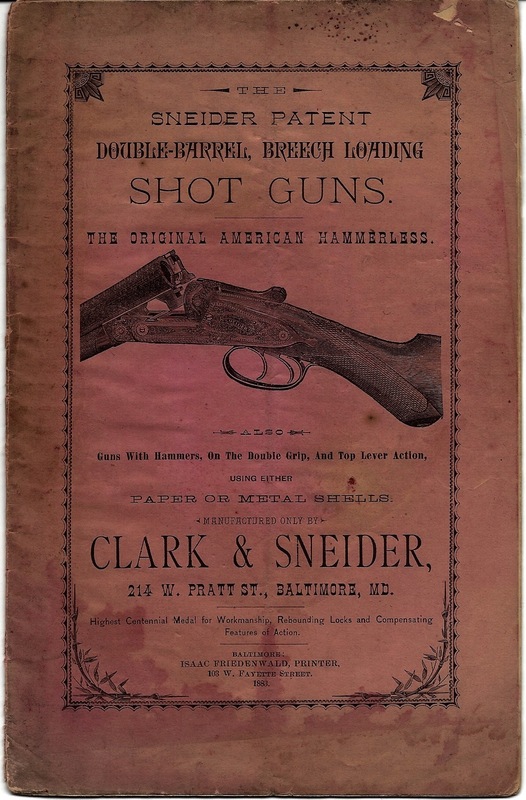 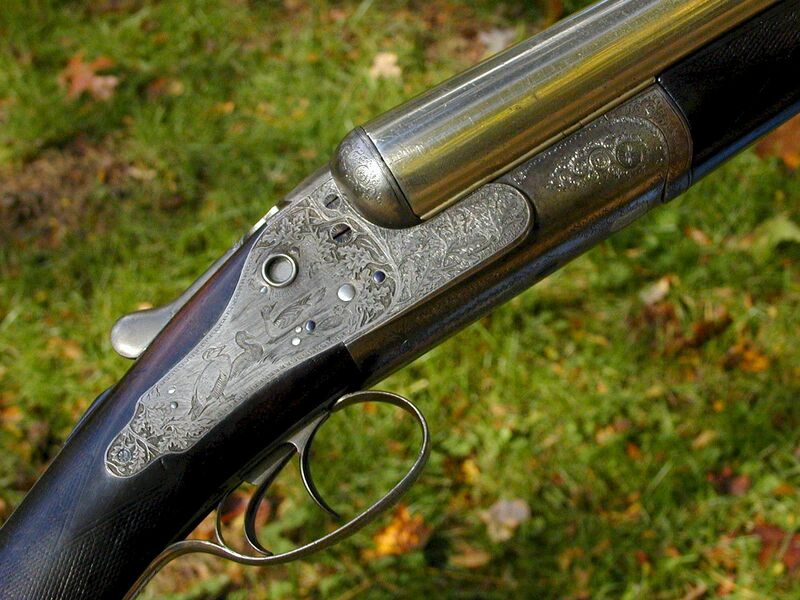 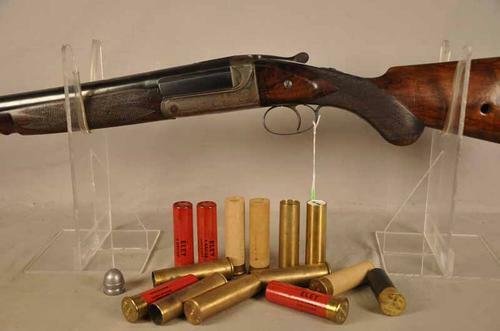 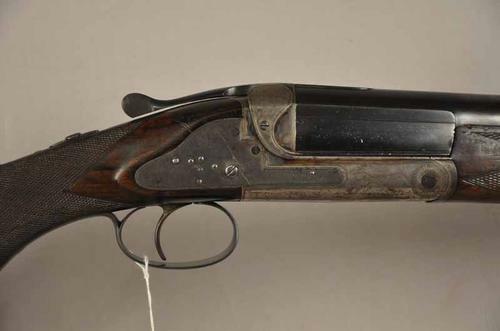 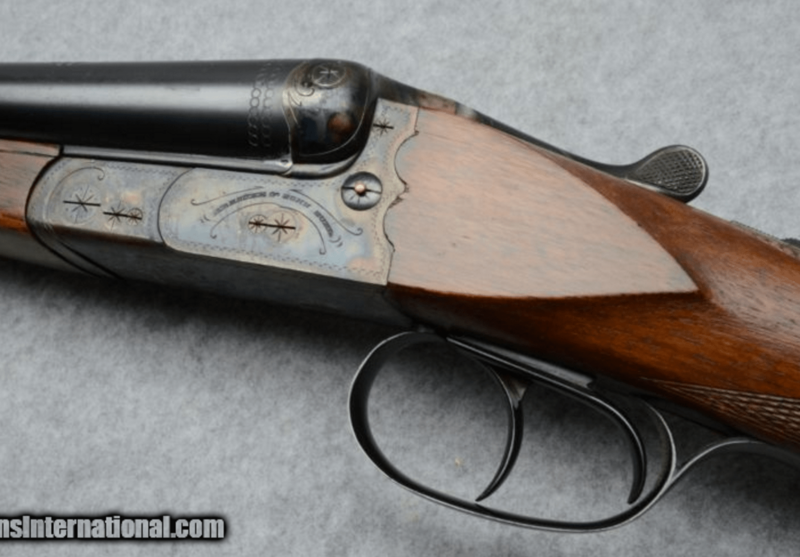 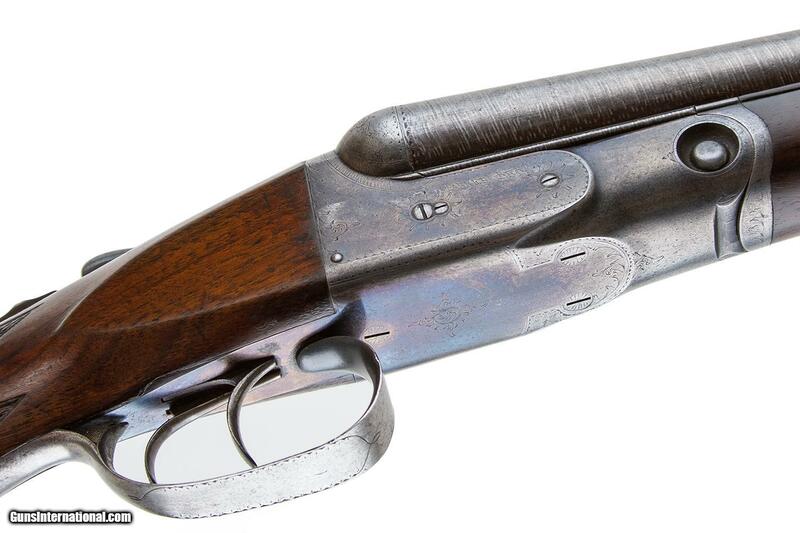 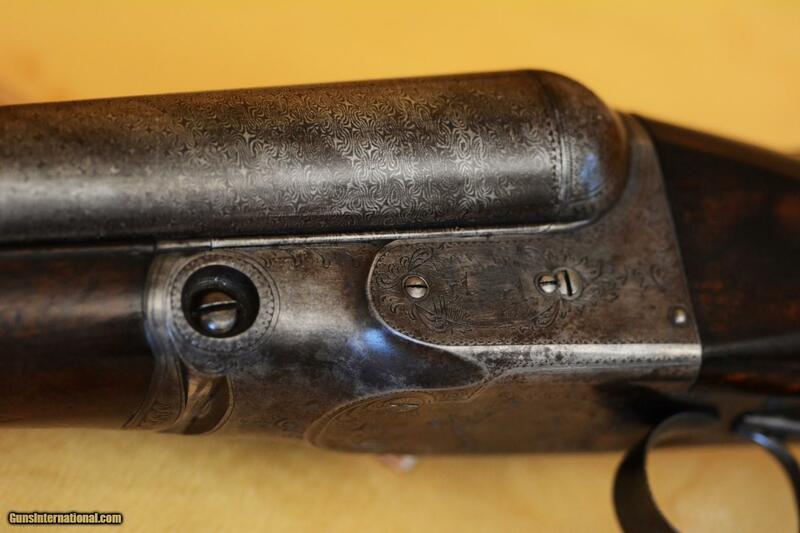 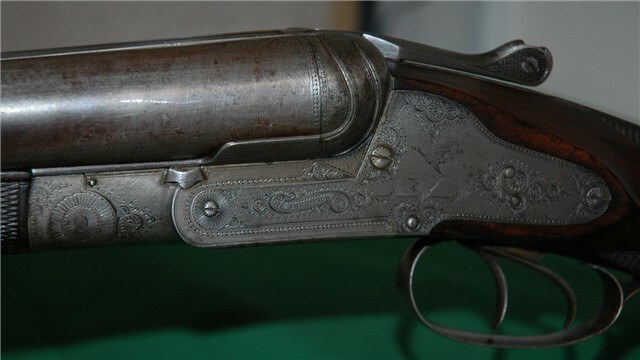 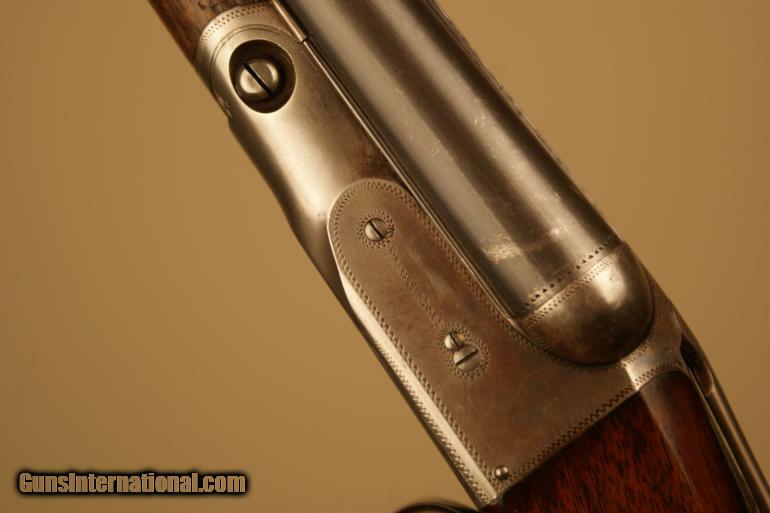 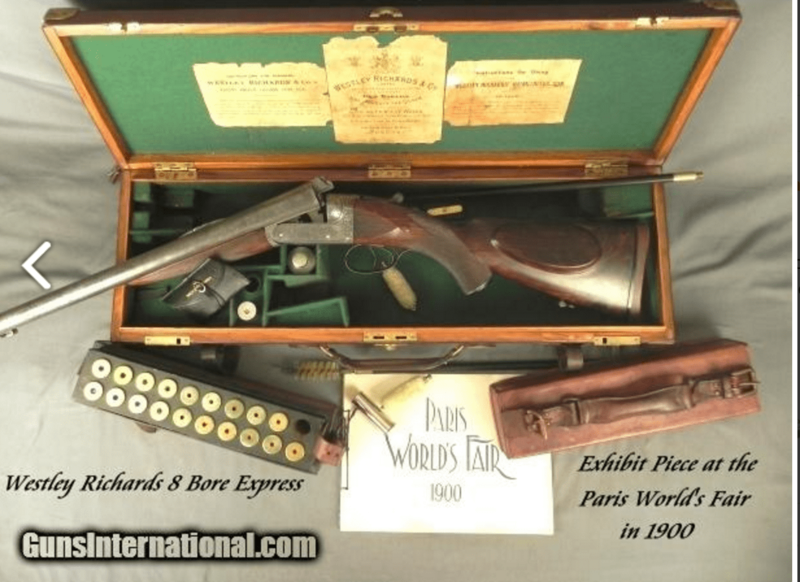 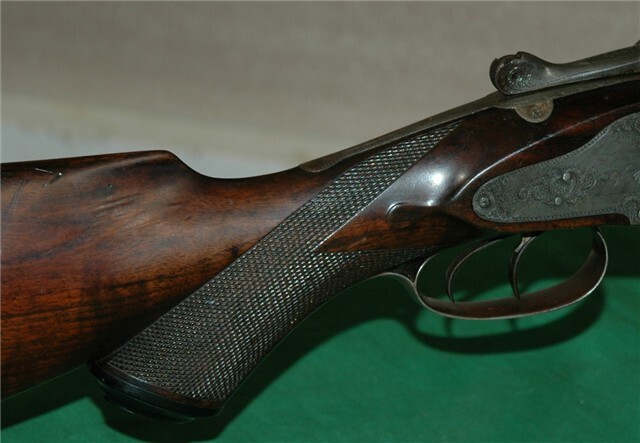 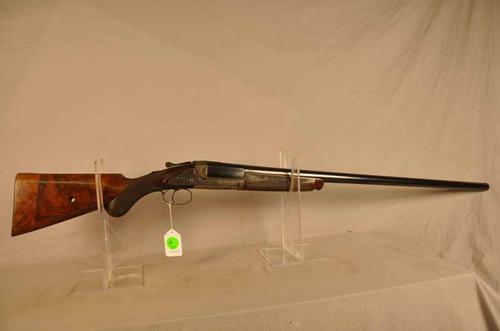 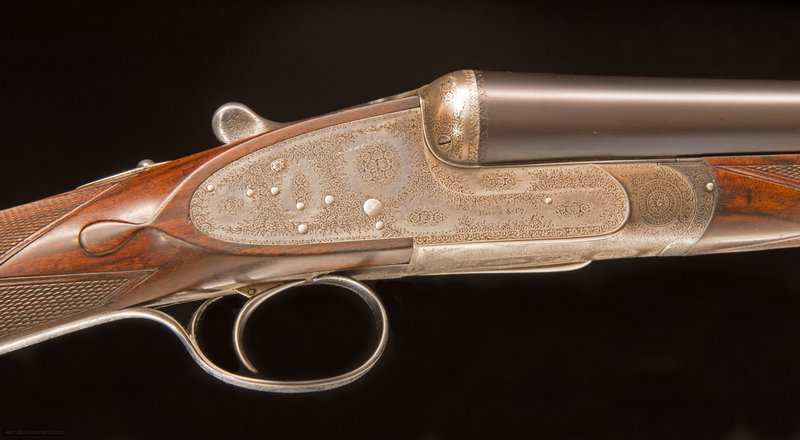 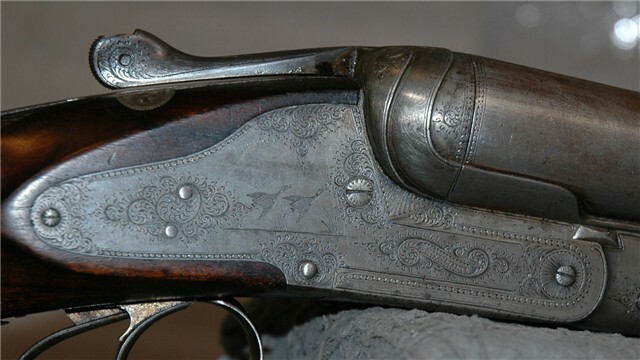 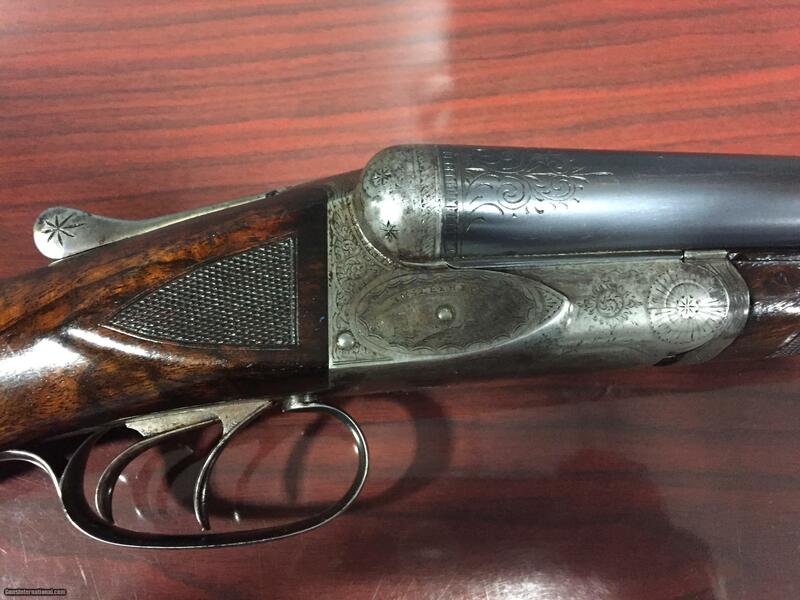 In its day, this big-bore shotgun was far too expensive to be used by a commercial hunter as a “market gun”. 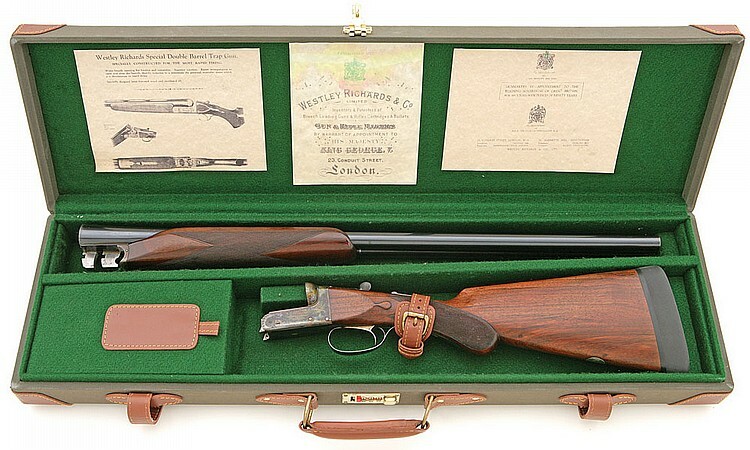 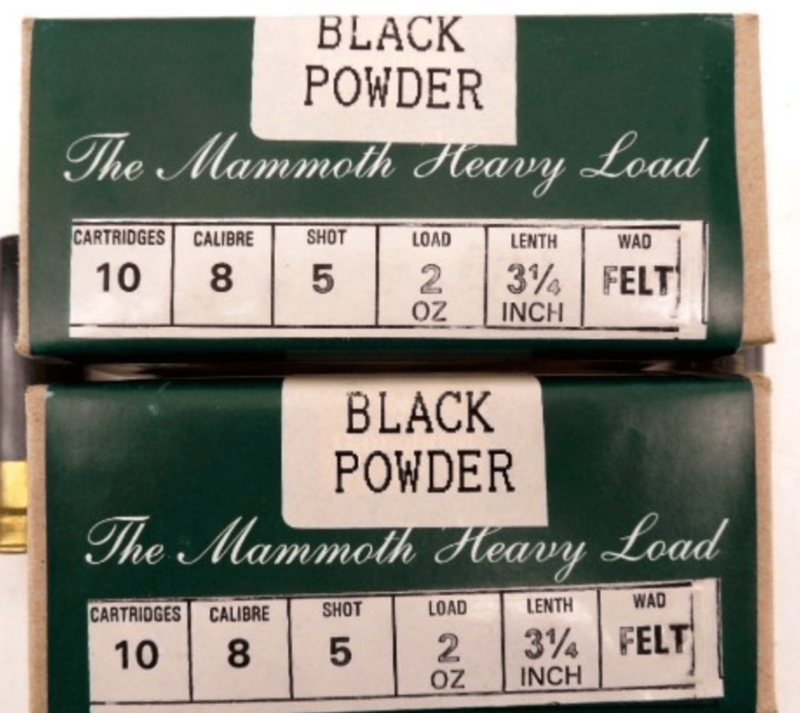 Instead, a wealthy sportsman would have specially ordered it and used it in marshes, shorelines and flyways to pass shoot waterfowl at long ranges (80+ yards) and knock down big birds like geese and swans. 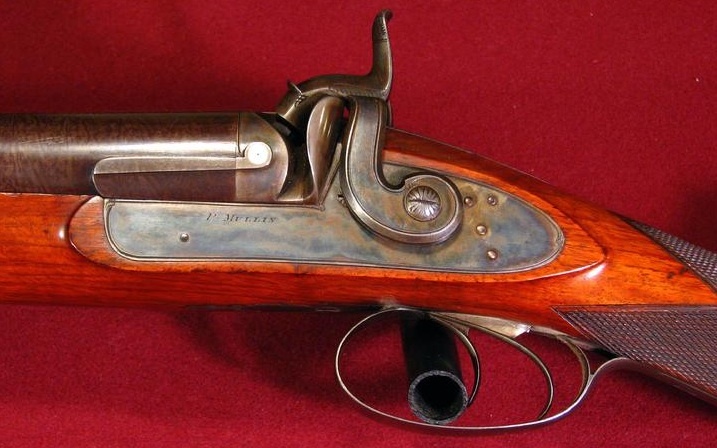 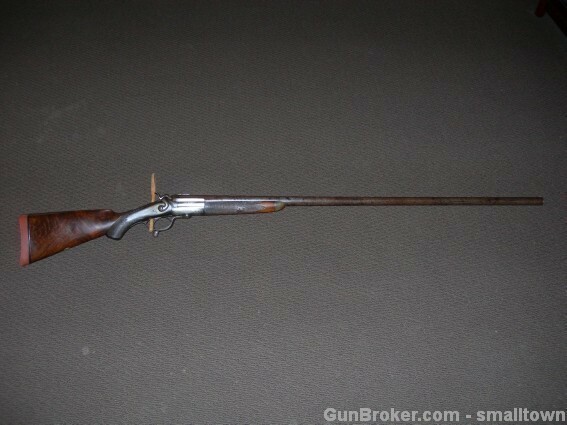 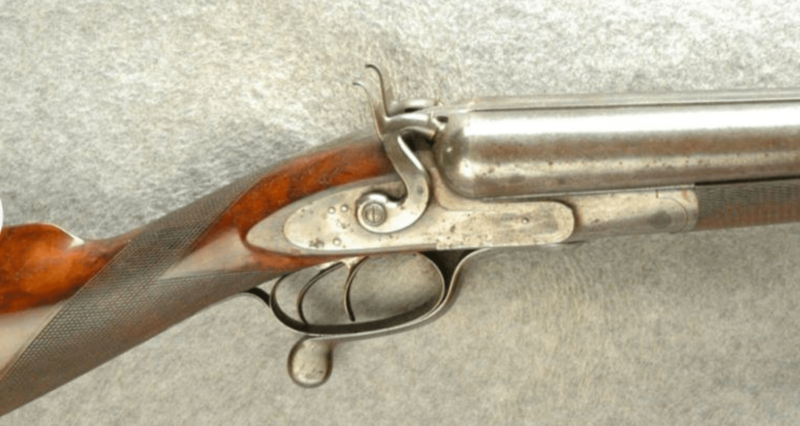 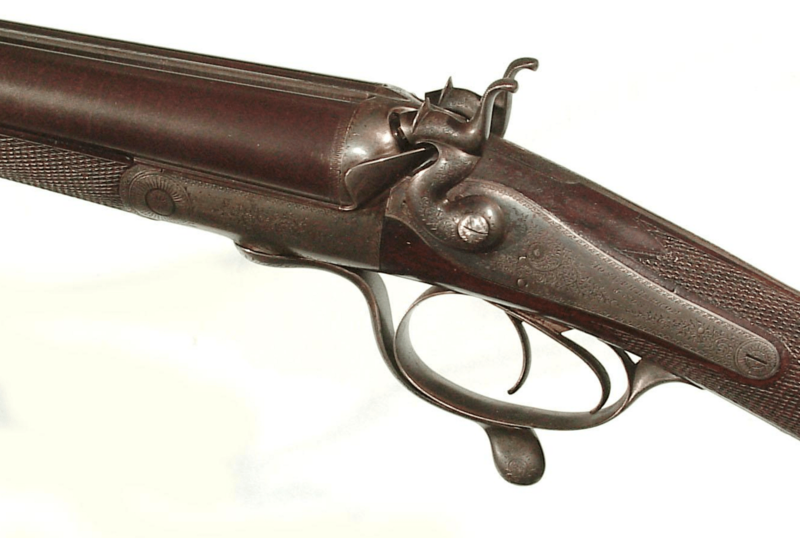 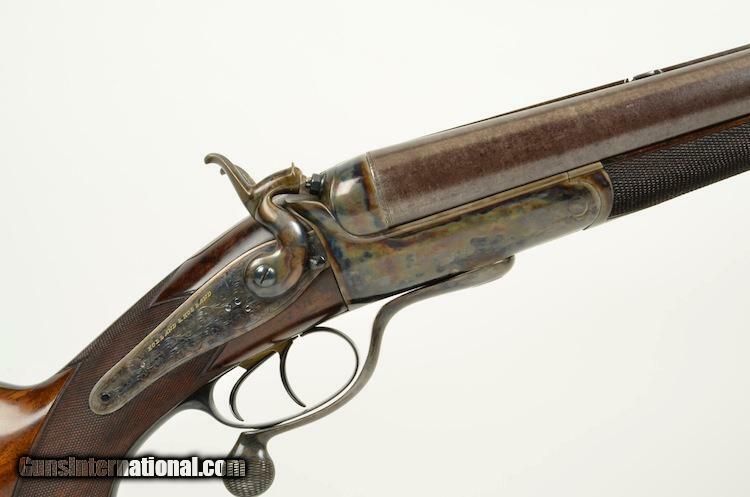 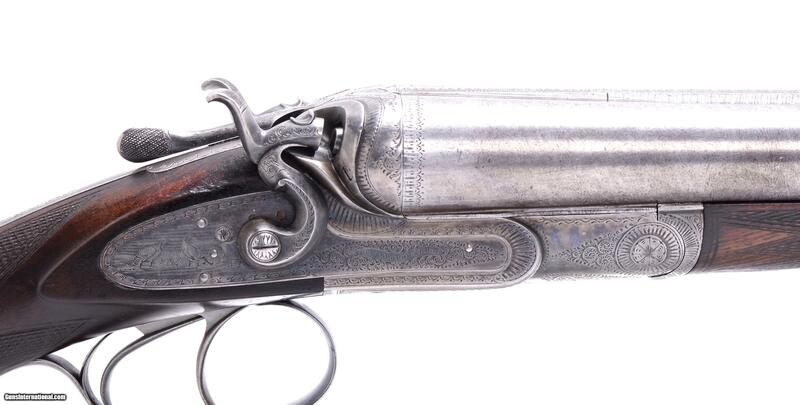 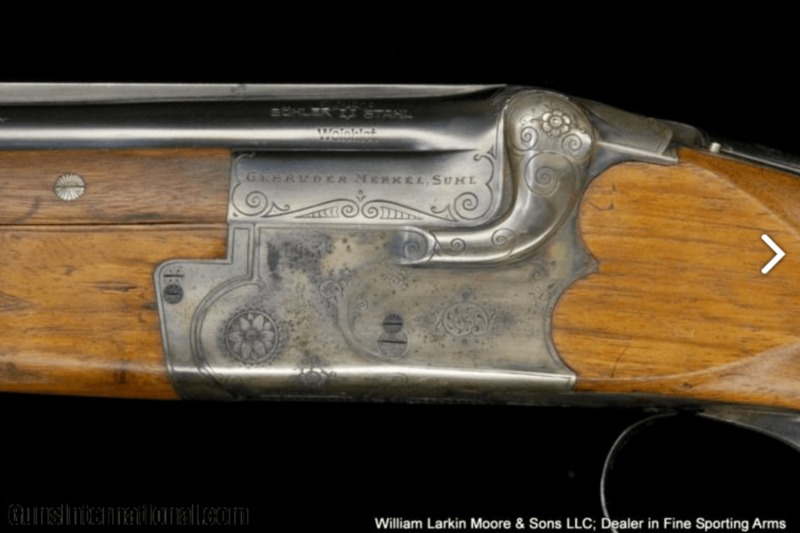 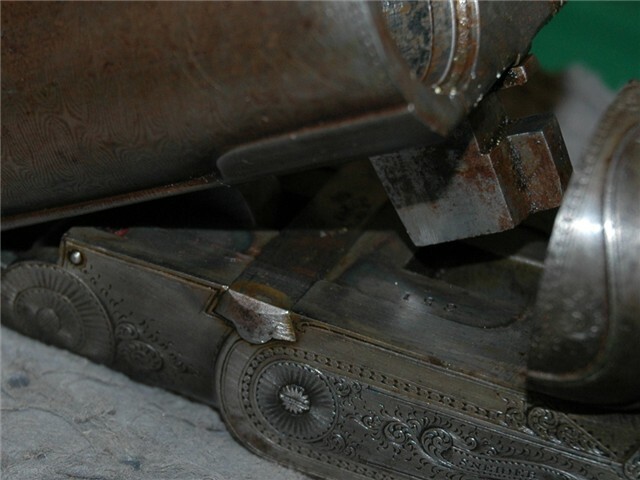 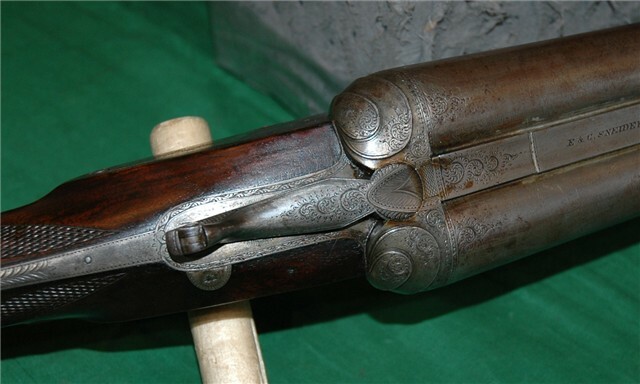 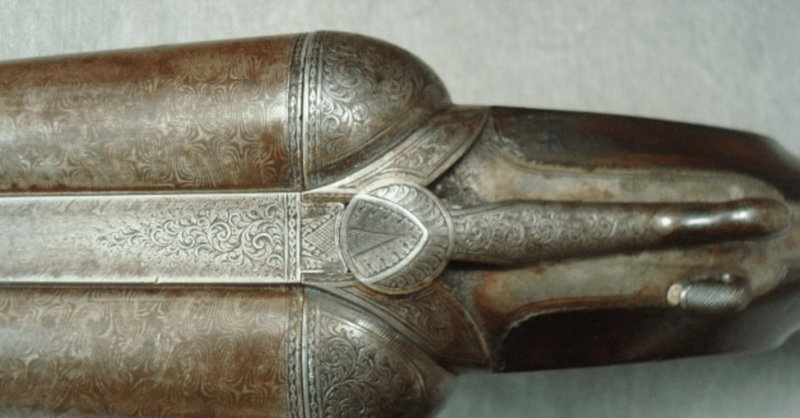 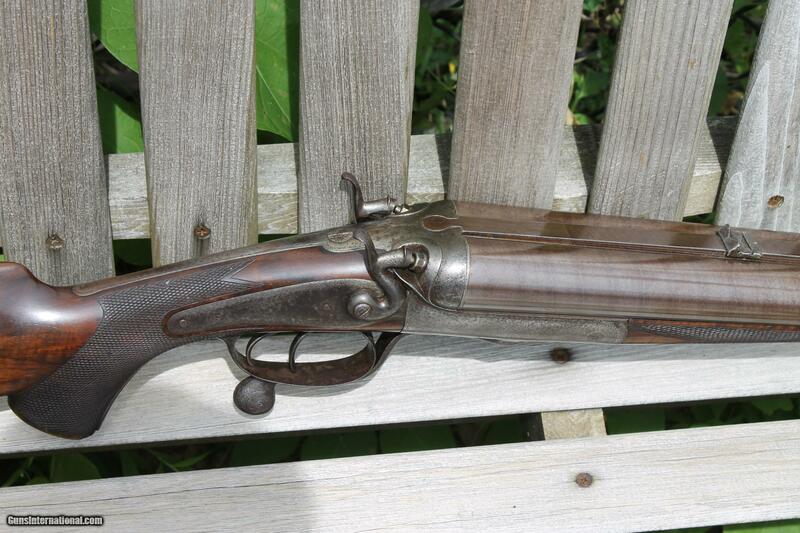 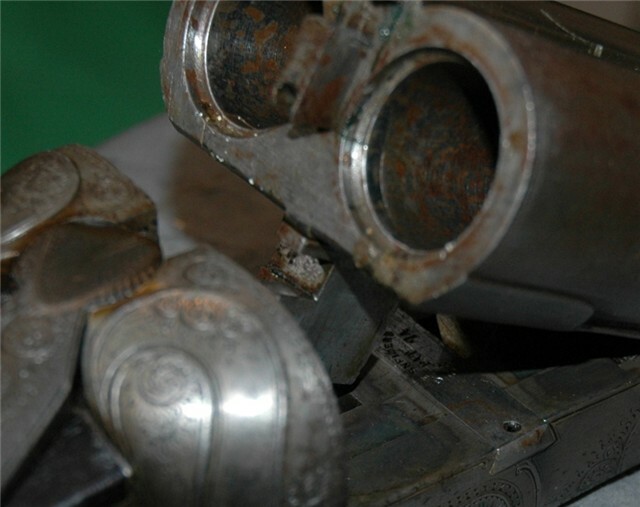 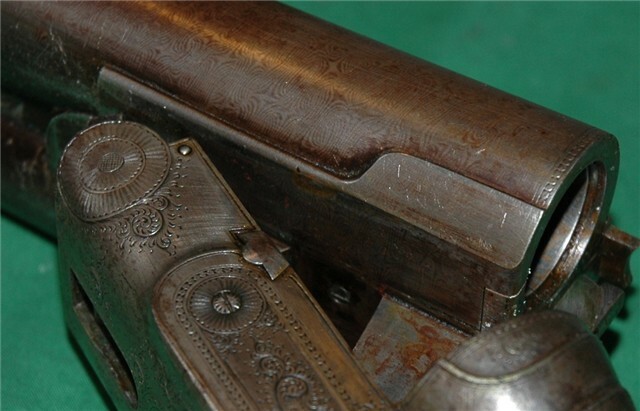 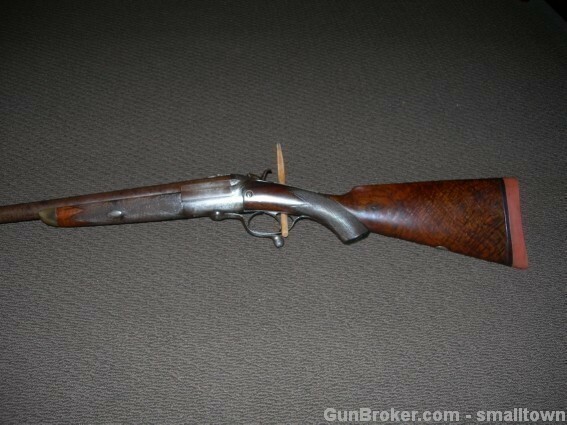 Patrick Mullin made guns in New York City from around 1850-1870. 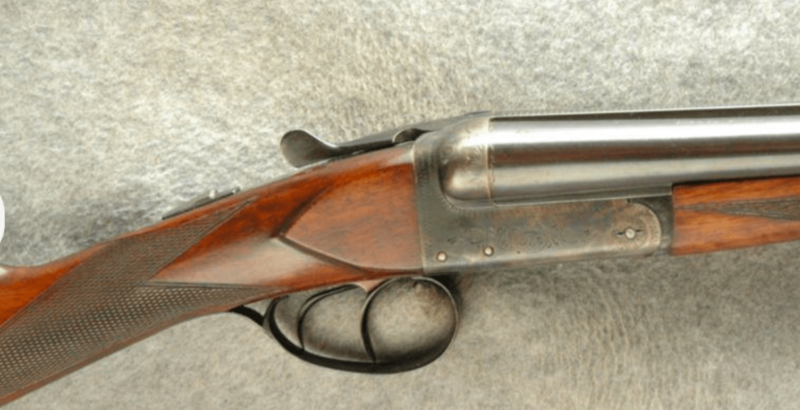 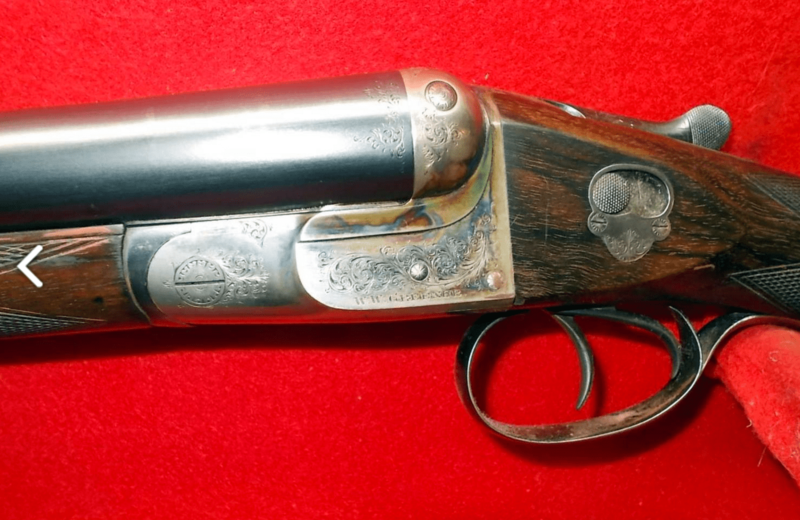 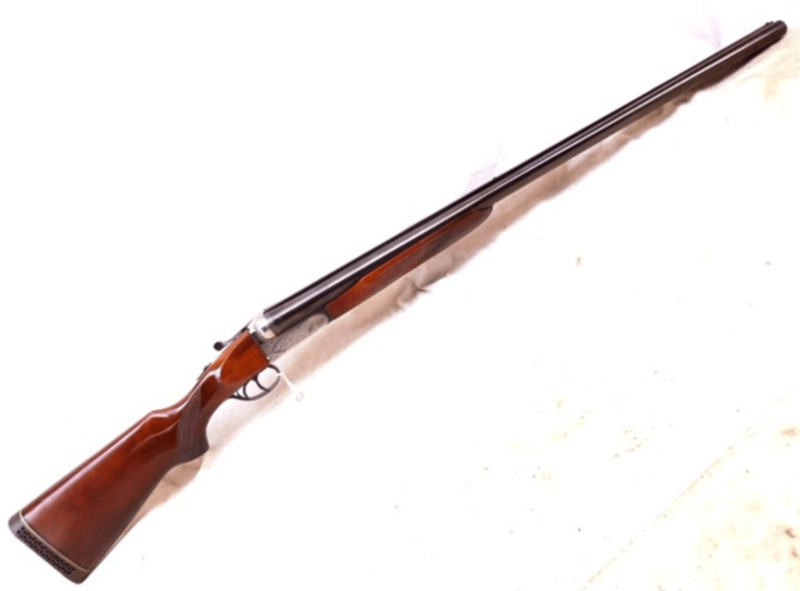 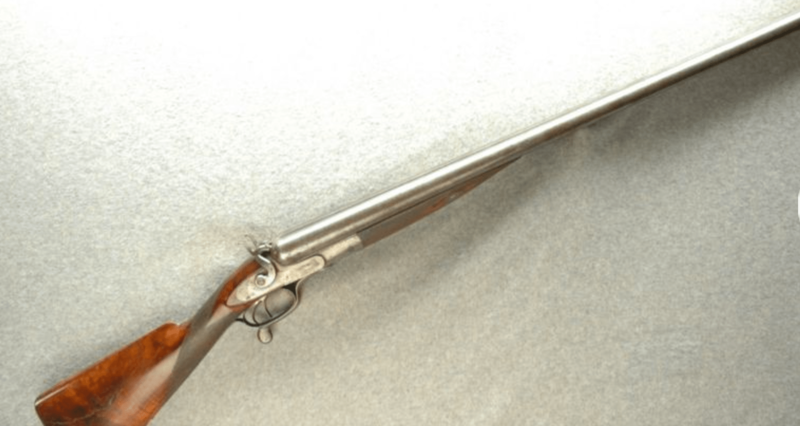 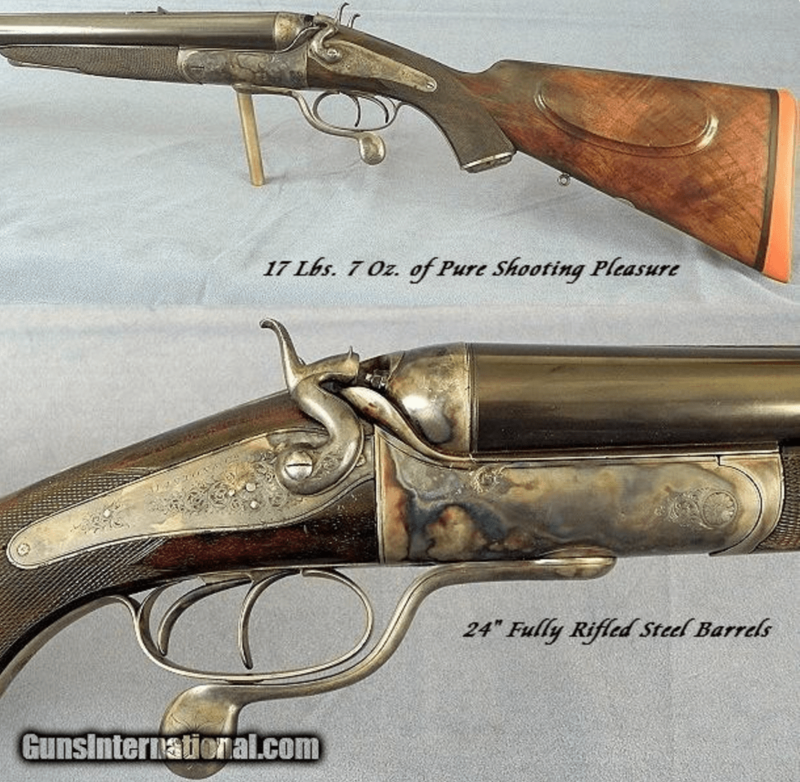 He was born in Donegal, Ireland, in 1814 and trained in Dublin and London before moving to the U.S.
On his death in 1895, the New York Times published his obituary and wrote “He turned out guns of his own handiwork that were unsurpassed in excellence.” Here’s a Mullin 8 bore muzzeloader that shows just how beautiful his work could be. 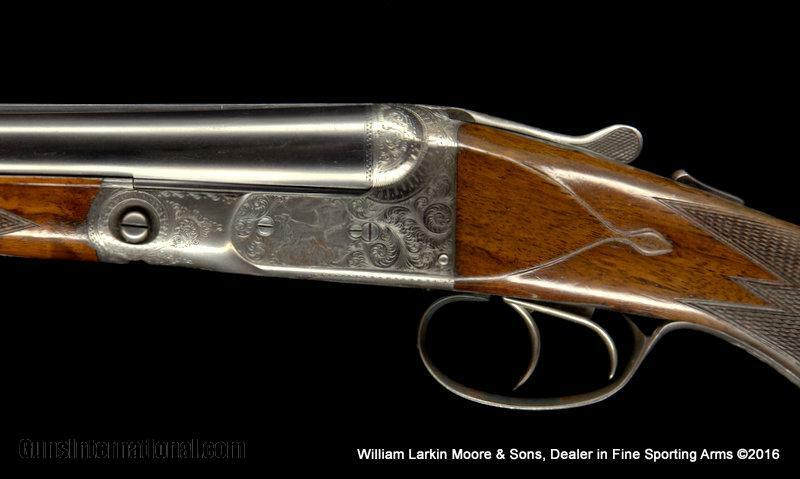 But while we know who Mullin was, the mysterious part of his legacy is just how much of his guns he actually built. 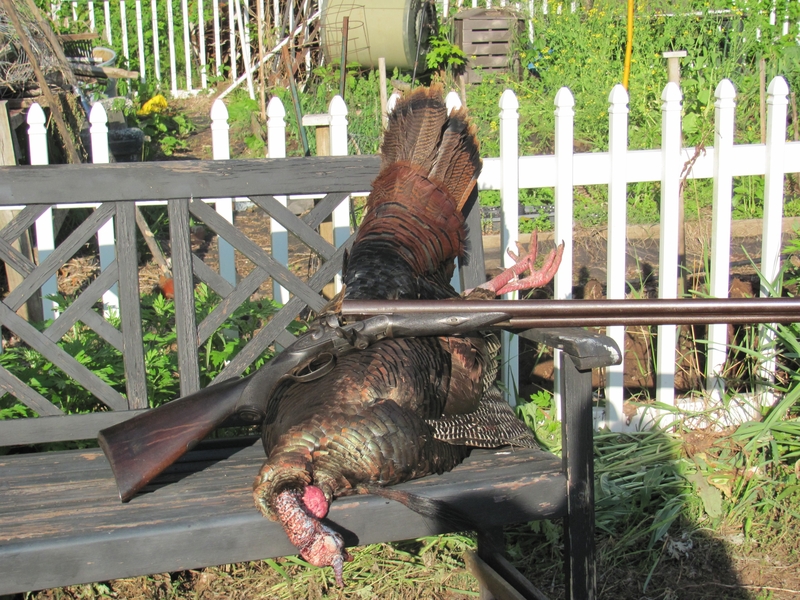 On this 8 gauge, I’m calling Mullin the “maker” because he didn’t make that much of it. 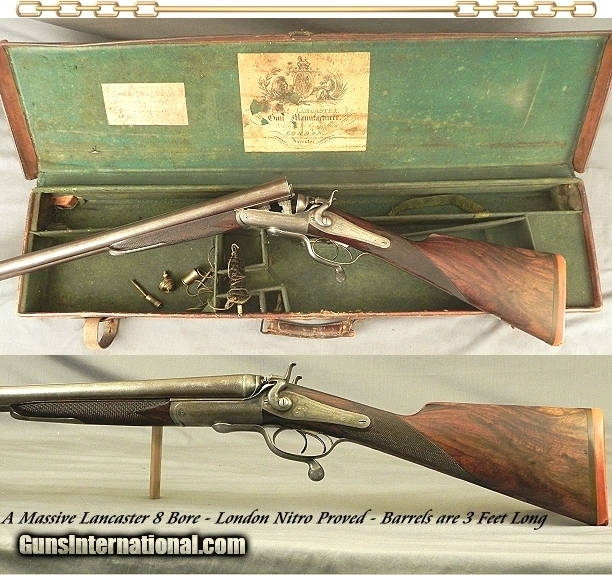 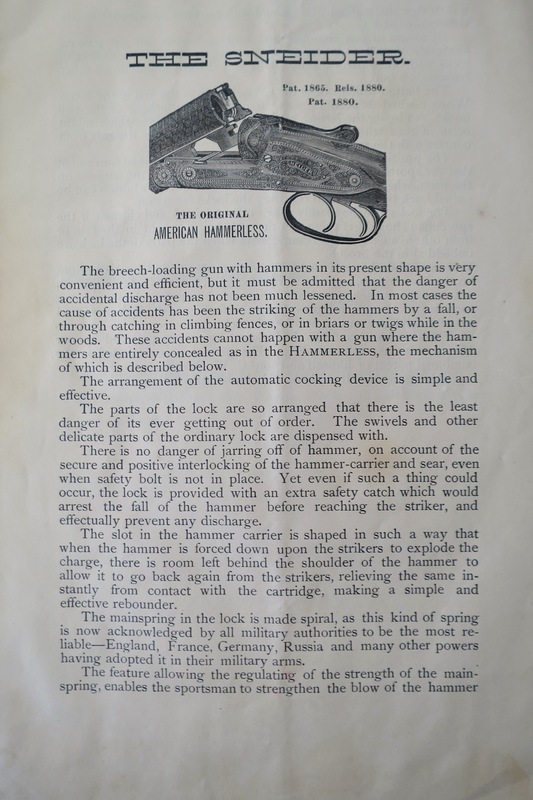 Even though his name is on the locks and barrels, all of those, plus the action and leverwork, came from the UK. 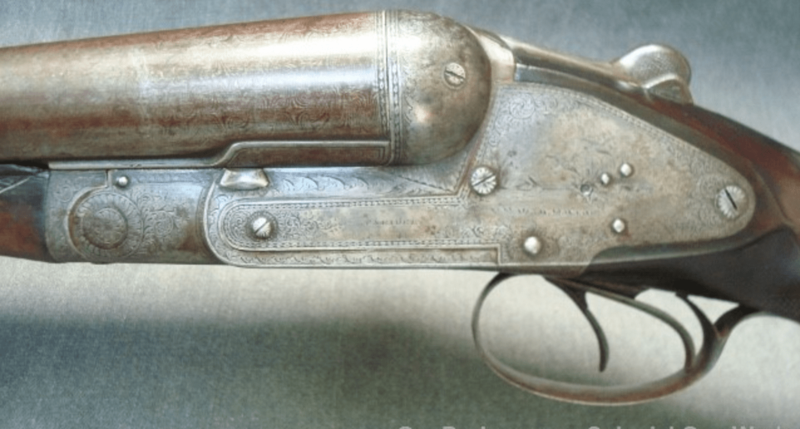 Mullin may have stocked the gun and finished it off. 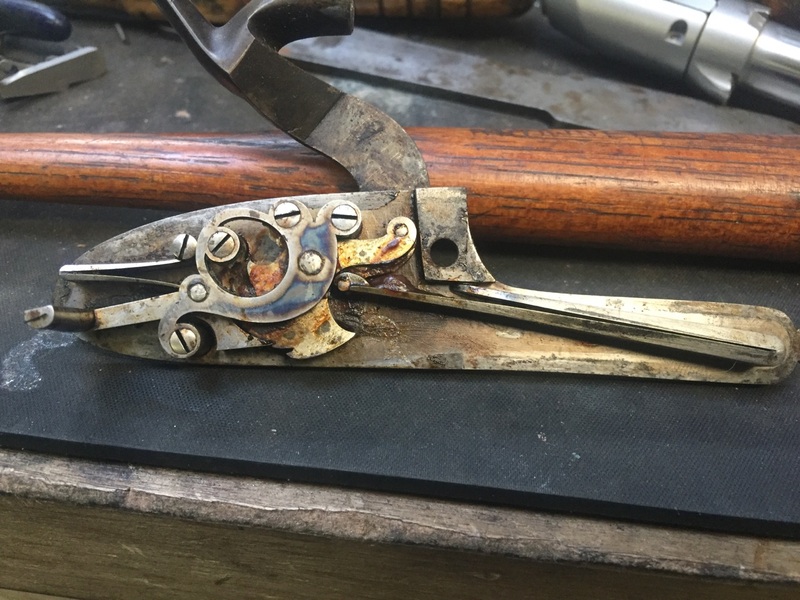 But that’s it. 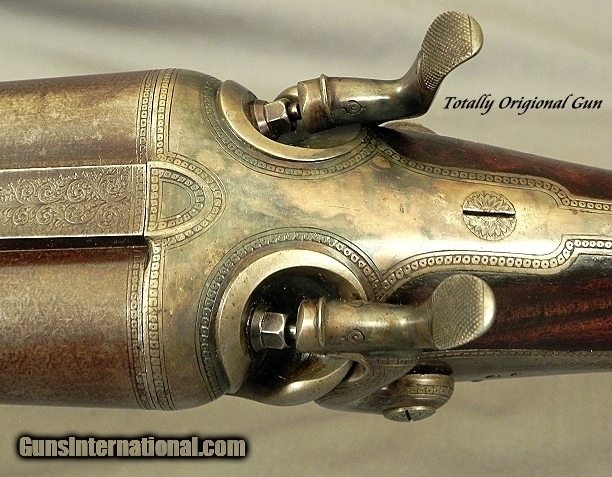 Regardless, though, it’s beautifully made. 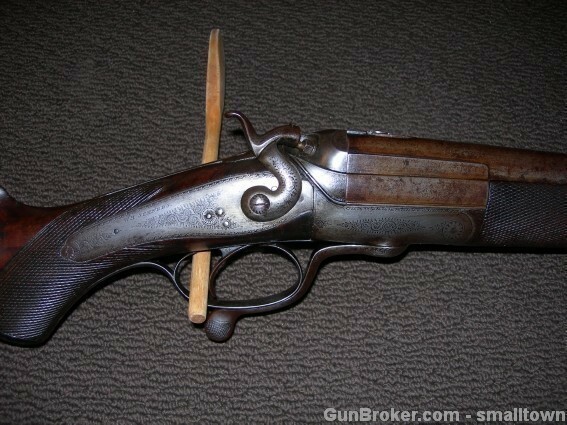 Too bad it isn’t in better shape like the one you see here.